The black ruby barb (Pethia nigrofasciata) is a small fish native to Sri Lanka where it’s restricted to the Kelani and Nilwala river basins in the southwestern ‘wet zone’ of the island, plus smaller drainages in the area between them. Export of wild specimens from Sri Lanka is currently prohibited which means that all those available in the aquarium trade should be bred on a commercial basis. This fish grows to an adult size of just over 2 inches long. Adult males are noticeably smaller, slimmer, and more colorful than females, especially during the spawning season when the overall color pattern darkens with the head and anterior portion of the body becoming a beautiful reddish-purple. The black ruby barb should be maintained in an aquarium of 29 gallons or larger. 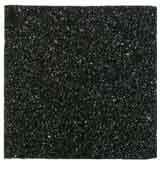 A dark colored soft, sandy substrate (CS6631) is a good choice. Driftwood (ZM2000) and live or artificial plants may also be incorporated. The black ruby barb prefers a temperature of 68°F to 80°F, a pH of 5.5 to 7.5, and a hardness of of up to 2 to 16°H. The black ruby barb is generally very peaceful and suitable for a community aquarium. Because of its wide range of accepted water parameters, the black ruby barb can be kept with many types of popular aquarium fish. Good choices can include other small peaceful barbs, rasboras, tetras, livebearers, rainbowfish, anabantoids, catfish, and loaches. Wild fish are most likely foragers feeding on diatoms, algae, organic detritus, small insects, worms, crustaceans, and other zooplankton. In the aquarium it will readily accept most prepared foods. 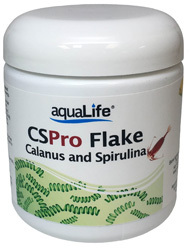 Good choices include a high quality flake food containing spirulina (AL165) supplemented with frozen bloodworms (SF4792) or brine shrimp (SF6777). For maximum color, growth, and health these fish will look their best when given probiotics (AL169) in addition to a balanced diet.